The OAPEI program, operated by Telecare Corporation, is contracted with the Los Angeles County Department of Mental Health to provide culturally-competent mental health services to older adults. The program was designed to assist underserved individuals with various levels of risk for any problem in reaching their fullest potential. The prevention component of the program promotes positive cognitive, social, and emotional development and encourages a state of well-being by reducing risk factors or stressors, building protective factors, and increasing support. The early intervention component of the program aims at recognizing warning signs and addressing risk factors with the goal of avoiding the need for more extensive mental health treatment. The OAPEI program provides short-term counseling to individuals 55+ who are experiencing symptoms of depression and/or anxiety due to life stressors such as interpersonal conflict, bereavement, role transition, past trauma, and medical problems. FSP services are provided using a psychosocial/recovery philosophy that emphasizes building on a member’s strengths, hopes and dreams. Some staff may be mental health consumers themselves. The interdisciplinary team offers weekly intensive visits, low staff-to-member ratio, targeted case management/linkage, mental health support and education, and crisis intervention services in a “whatever-it-takes” approach for individuals with schizophrenia, schizoaffective and bipolar disorders, and severe depression. FSP provides 100% of services in the community. Referrals are made through the Los Angeles County Department of Mental Health, the community, and through self-referrals. Due to HIPAA (Health Insurance Portability and Accountability Act) requirements, LAOA will not release member information unless we have a signed authorization from the member. 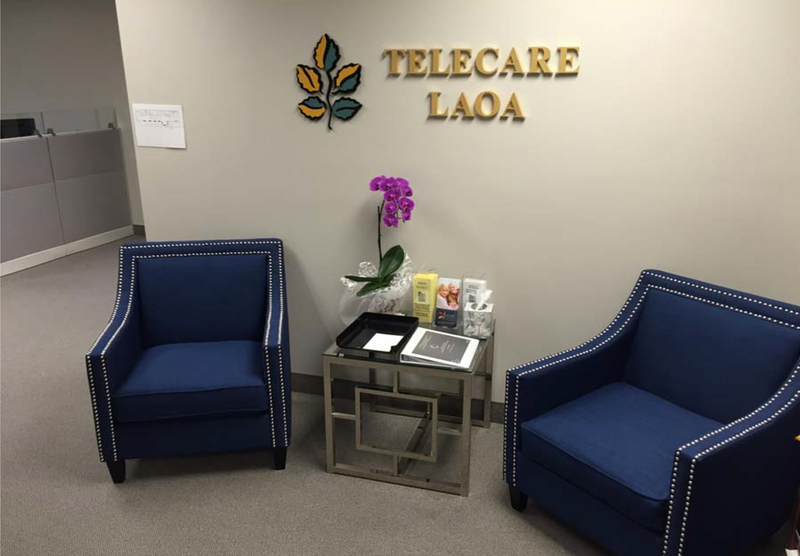 LAOA is an outpatient program and, as such, our members live in the community. At LAOA, we specialize in treating the special needs experienced by the older adult population; loss, grief, and bereavement, medical difficulties, etc. In addition, we offer our annual member recognition luncheon, picnics in the park, and other rehabilitative activities, as well as life rituals. Families are an integral part of the recovery process and, with the member's consent, are welcome in meetings. We are CARF-accredited (Commission on Accreditation of Rehabilitation Facilities), are members of ACTA (Assertive Community Treatment Association) and PRA (Psychiatric Rehabilitation Agencies, formerly known as USPRA). As well, many of our staff are associated with the APA (American Psychiatric Association), CAMFT (California Association for Marriage and Family Therapists), NASW (National Association of Social Workers) and other clinical associations.